Once again the Oklahoma Constitution Newspaper has released their annual Legislative scoring report. The Conservative Index is the most established Oklahoma legislator scoring system. They carefully pick a set of 10 key pieces of legislation which collectively indicate the conservative mindset (or lack thereof). And once again Rep. Jason Murphey has 'aced' the test. I called Jason and we visited about this past session. Sooner Politics: You keep scoring so well in the Oklahoma Constitution's Conservative Index. How do you do it? Re. Jason Murphey: Well, thank you. I use a checklist for each bill that comes before me. It's really not that hard if you can learn to accept that your friends might not like how you voted. My duty is to ask myself what my own motivation is, and keep asking myself tough questions about what is motivating me. The budget itself was incredibly irresponsible! We depended so much on one-time funding sources. Next year we may have about one billion dollars less than we appropriated this year. It was incredibly irresponsible! Sooner Politics: Can you share that checklist with us? Is it a corporate welfare bill? Is it a new government program? Is it a new government regulation? Does it create yet another agency? Does it create a new tax burden? If the answer is 'yes' to any of those questions, then my vote is 'no'. Sooner Politics: Are there any votes from this past session in which you wish you could recast your vote? Re. Jason Murphey: Well, I seem to recall one. It was a bill which dealt with insurance regulation. It went into great detail about how an insurance company deals with coverage of various medical treatments. After the bill went to the other house, one of the senators; I think it was Nathan Dahm?... anyway, someone got back to me and said the senator asked a great question about whether the state has a legitimate role in dictating which coverage an insurance policy must provide. I'm not sure where the bill ended up, but I recall how I, in hind sight, wished I'd done a better job. Sooner Politics: Aren't there always going to be scenarios where more details emerge after the legislation is voted on? Where event, discoveries, and other developments lead you to wish the matter was reconsidered? Re. Jason Murphey: Oh, yes! And you have to just accept that reality. Sooner Politics: What legislative developments are you most disappointed about, from this session? Re. 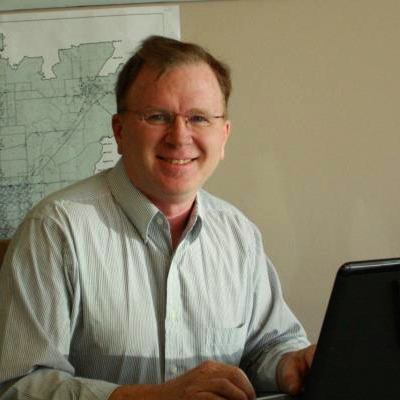 Jason Murphey: The Bond Issues! Oklahoma is going further in debt and I really don't think the people realize this! Sooner Politics: What else were you disappointed in? Re. 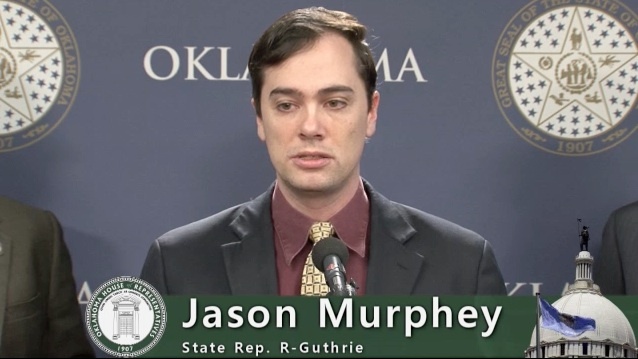 Jason Murphey: The budget itself It was incredibly irresponsible! We depended so much on one-time funding sources. Next year we may have about one billion dollars less than we appropriated this year. It was incredibly irresponsible! Sooner Politics: What about the law which prohibits counties and cities from restrictions on petroleum production techniques? That has to be a concern to your hometown of Guthrie? Re. Jason Murphey: Well, it was really bad timing. We finally saw a shift in the geological conclusions about what is causing the epidemic in seismic activity. Now that there is a better understanding about some injection well association in some areas, many in the industry are changing their practices on their own. Since 1935 the state policy has worked well. I don't think we needed to change it. Sooner Politics: Wasn't it similar to how counties can set a burn ban if they are having a drought, without waiting for the governor's office to act? Re. Jason Murphey: That's an excellent analogy. If there's a drought in the panhandle, does it have to be a state government duty? Or can a county handle their problems more effectively? Sooner Politics: How is your confidence in the Oklahoma Geological Service? Re. Jason Murphey: I'm a big fan of Austin Holland. He's gone, now. But he seems to be under pressure from OU president, David Boren. There is a clear conflict of interest there. It has all the appearance of a shakedown. I am anxiously awaiting the appointment of new leadership. Austin Holland is a hero! There are some really responsible players in the Oklahoma petroleum industry. Devin Oil has done well. There are also some very irresponsible players, but I am optimistic that we are beginning to deal with the problems. Sooner Politics: What advice do you have for legislators? Re. Jason Murphey: Frequent introspection. Challenge yourself often. If you do, your legislative decisions will be very consistent. If you change, ask yourself why? But you have to provide the same representation you told your constituents you'd provide. great questions and great answers -- please do more of these!